Russian animator Alexander Petrov works a lot like a children’s book illustrator to make his films, though his films hardly rate as children’s fare. In the previous post we saw his mesmerizing film The Mermaid based on a Pushkin tale and the Slavic legend of the rusalka. It’s a tragic telling definitely not for children. 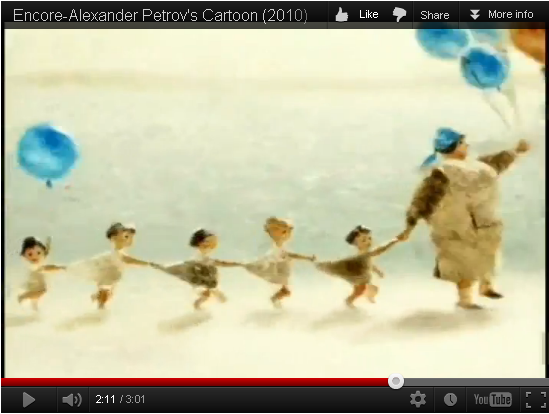 In this 2010 animated short he commemorates the 1,000 year anniversary of his hometown, Yaroslavl outside of Moscow. He seems to celebrate childhood (someone’s childhood, anyway) growing up in a WW2 (or post war) era Soviet Union. The cartoon reminds me a bit of the film Armacord, in which auteur director Federico Fellini waxed nostalgic for his boyhood in Mussolini’s Italy. Below are two videos of Petrov showing parts of his process. See how he relies on reference for his animated version of Ernest Hemingway’s The Old Man and the Sea, which won the Academy Award for “best animated short” in 2005. The friend or neighbor acting out the part of the aged Cuban fisherman Santiago hauling in his giant marlin and the little reference model of Santiago’s sailboat seen at different angles, under different light sources. “The scenario in pictures, a sketch or plan is a very important element,” he says in a rough text translation that’s included on the video’s YouTube page. An example is the sequence of the young monk in The Mermaid shoving his canoe off into the river, hand-painted ripples radiating out in the water. Petrov paints the scene from the point of view of — say — an owl in the treetops. That stage is painting directly on the glass panes. (It’s a bit like painting over a light box.) Petrov uses ordinary “artists oil paints, which can be bought in any shop,” he says He chooses transparent or “glaze” paints, which pass light through the glass layers. “Case paint and white wash do not pass light but only reflect it,” he explains. “Thanks to the mixture of paints and using them in thin or more dense layers, it is possible to achieve any picturesque effects,” Petrov says. “For picture creation different tools are used. You see here, rubbers, brushes, sticks rags. Many different ways but a hand remains to be the most important tool. The hand, palm and almost all fingers remain the main tools,” he says. “Shooting and drawing occur practically simultaneously,” Petrov adds. “To create prospective movement I need to destroy the drawn base of the moving character or object and restore a picture nearby with a shift. In the video we see him squeezing oil paint on the glass, spreading the colors with his fingers and scrapping away the paint with sticks to create lighter values and negative lines. “It’s not necessary to draw eyes or buttons and its enough to make an expression of dabs,” he says. 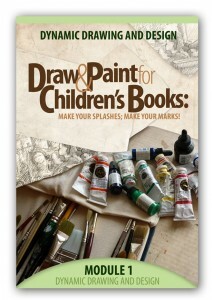 Mark Mitchell, who wrote this post, runs this and the How To Be A Children’s Book Illustrator blogs. See the video and read his post about Petrov’s The Mermaid. 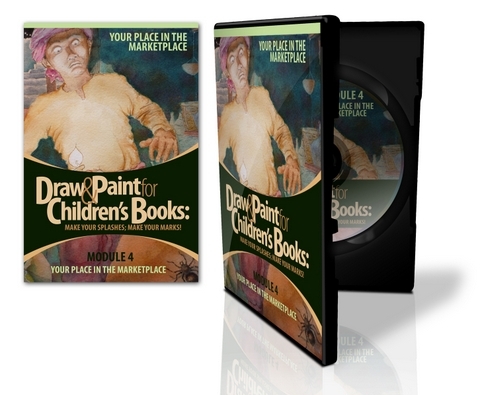 From Petrov's 2010 animation, "Encore"
Learn drawing, painting and a dynamic approach to illustrating your children’s book(s) with watercolor in Make Your Splashes – Make Your Marks! 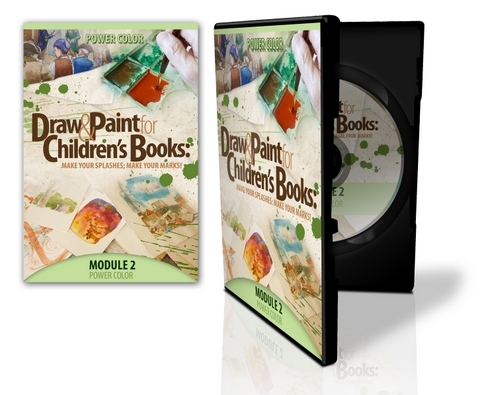 Although this online self-paced course focuses on illustration, the ideas and techniques presented will help you with all of your drawing and painting. Lessons are fun, revelatory and combined with a supportive online community and resource sharing site. 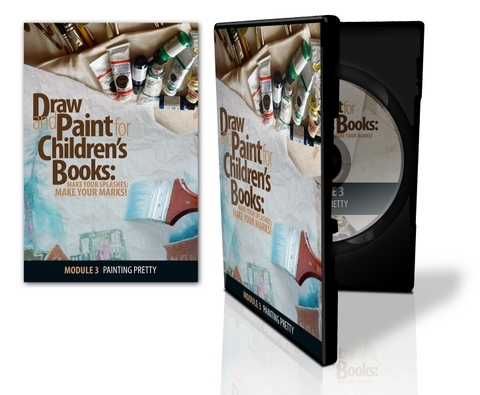 Learn more and discover a powerful secret to improve your drawing in this free video. The lessons of the Make Your Splashes – Make Your Marks! 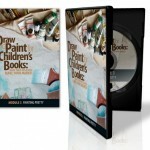 course are available as digital downloads.